Anyway, it's AWESOME that it's the March Holidays! I'm more than delighted to have this break. After all, teaching is a really really really tough job. I knew it was tough... but I didn't know it'd be THIS TOUGH. Nevertheless, I know that God has allowed for many things that has happened to happen cos' he knows I'm up to it. And so, I'm gritting my teeth with all my might... and I'm gonna make the best out of the experiences I've had and will have! Anyway, school aside, it's odd how I've had plenty of odd food cravings. And NO, I am not pregnant yet. I've been in love with Awfully Chocolate's cakes and gosh.. the fudge is just SO GOOD. I'm still waiting for some hardworking part of me to try baking it so I don't have to pay a bomb for the cake I love so much. So as I'm not that hardworking of late... I decided to do a lazier decadent version of something really chocolatey. 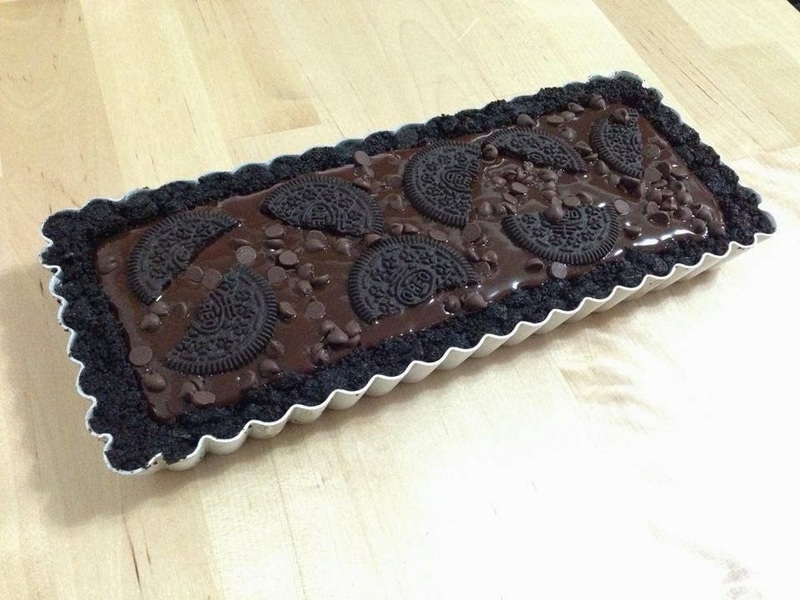 So here's my Oreo Chocolate Tart. It's simple. It's no bake. It's easy to prepare. What else can one ask for? 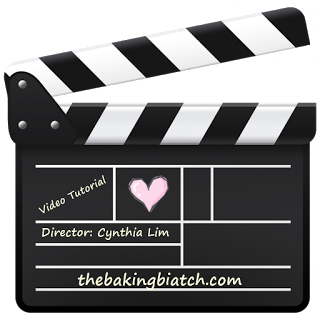 For the steps, refer to video tutorial here. For the dark conv chocolate, where did you purchase it? I got it from NTUC. Hi Cynthia, can the whipping cream be replaced with bulla thickened cream? Hi Cynthia, is it difficult to remove the tart from the pan? Is the oreo base fragile? Once it's set it will be easy to remove. You have to ensure that you compact the mixture well in the first place though. Else the crust will crumble. Hi Cynthia, I have tried making it today...but silly me that I saw ur video steps wrongly. Instead of putting the final product in the chiller to let it set for 3 hrs, I put it in the freezer to let it set. By the time I realised this mistake, it was 5 hrs later.. I wonder can it still be eaten? I have brought it down to the chiller compartment though. yes you may still eat it but it'll very likely be very frozen? Luckily it can still be eaten and it eventually turn soft after I left it in the chiller. ;) still taste very nice! Thank you! Can I use milk to replace the whipping cream? Instead of whipping cream, I bought the cooking cream? Can I use that? The difference is in the fats content. Can I use hersheys chocolate chips instead of the chocolate bar? I'm not sure if the chocolate chips will dissolve as required for the recipe.